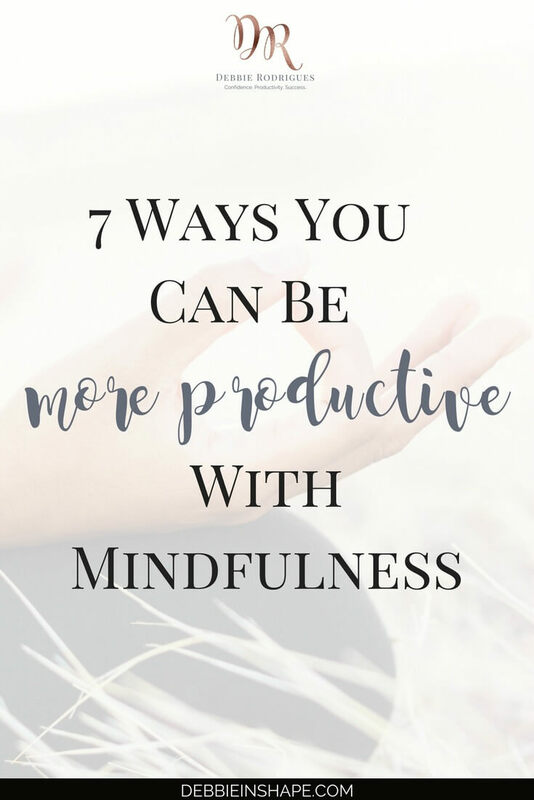 Discover 7 ways to be more productive with mindfulness today. 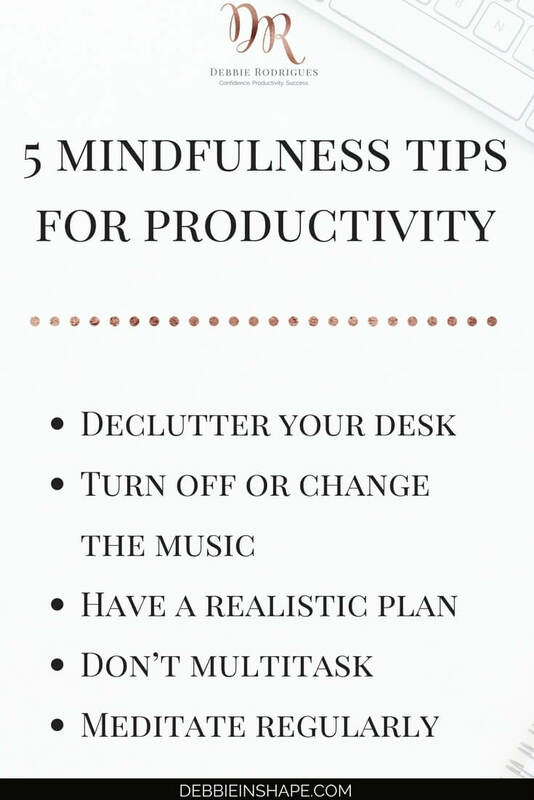 Plus apply these 5 mindfulness tips for efficiency. 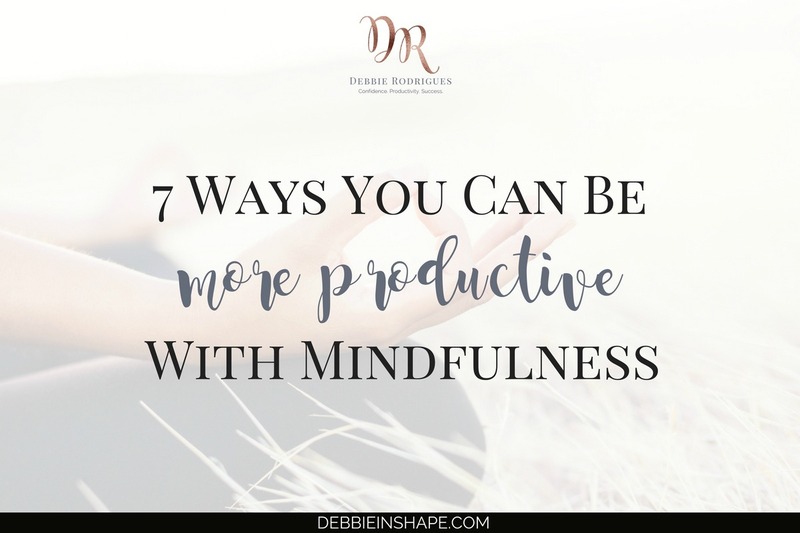 If I told that you could become more productive with mindfulness, would you believe me? At first, it might make no sense to you, but if you think further about, you’ll notice that the idea isn’t absurd at all. 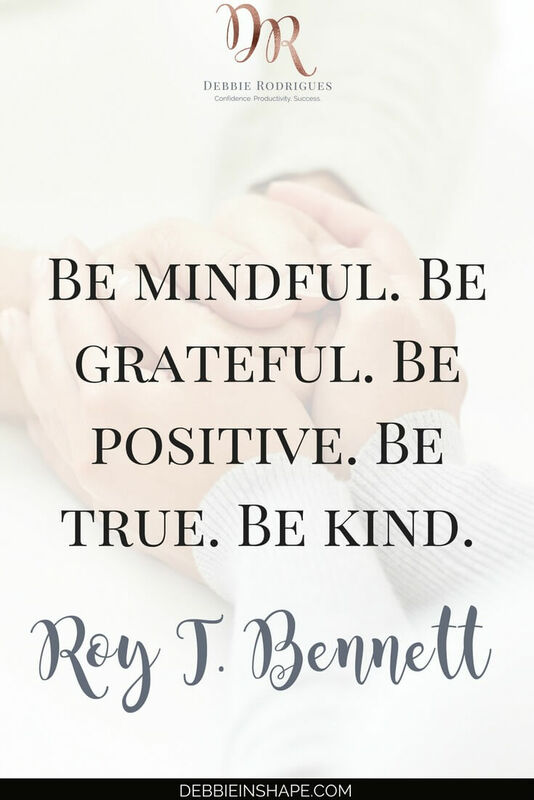 Mindfulness can be used in countless aspects of our life. Productivity is just one of them. Mindfulness helps you stay in the moment. Instead of allowing that your thoughts go all over the place, you have them under control. The here and now is the only place and time that matters. In other words, instead of thinking about what you’re going to cook for dinner at work, you remain 100% focused on your projects. Or instead of composing emails in your head during dinner time, you enjoy your meals fully. One of its side effects is that it helps you save a lot of energy. This energy you can use to get more done throughout the day. 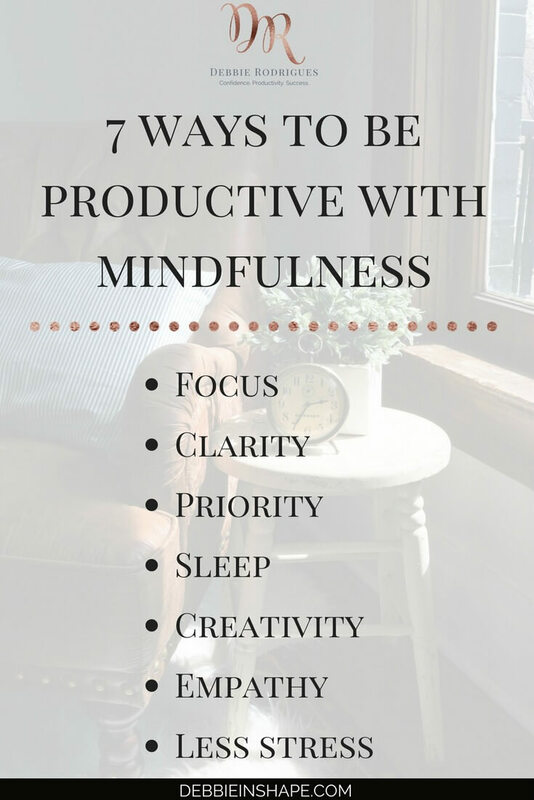 I’ve already given you a hint about how you take advantage of mindfulness for productivity. Think of how much more you’d be able to do if you had more vitality every day? Not only would you be able to do more, but you’d also accomplish things without feeling overwhelmed. As you develop your mindfulness skills, you’ll find it easier and easier to stay focused on the job at hand. Even during difficult times, you’re able to stay in the moment and make the most out of it. You also learn how to deal with interruptions and last-minute changes better. When a colleague, your manager, or a client calls, for instance, they break your concentration. Yet you’ll know how to shift your attention to what they have to say and, afterwards, go back to what you’re doing. All without wasting time or feeling lost. Along with focus, comes clarity. Mindfulness helps you separate reality from perception, facts from emotions. Whenever you need to make a decision, you find it easier to choose based on the circumstances, not just on your imagination. Taking a step further, when you’re mindful, you know very well what is meaningful and relevant to you and your work. You don’t waste precious time with activities that aren’t going to bring you closer to your goals. Your priorities are clear to you, and you stay focused on working on them until the end. Even when something “comes up,” you’re aware of your time and can fit it into your schedule without hurting your overall progress. Remember that being mindful means living in the moment. It means that taking your projects to bed is a no-no. If it’s time to sleep, it’s time to sleep. Reviewing your day or scheduling things for the next isn’t part of the plan. And because you can “turn off” when it’s time to, you sleep better, which is excellent for productivity itself. From the moment that you’re attention is 100% concentrated on the tasks you have to perform, you’ll realize that new ideas flow naturally. Instead of limiting yourself to automatism, you consciously examine situations with an out-of-the-box approach. Therefore, you can come out with new alternatives to old struggles with creativity. Having to deal with different points of view can be a challenge to productivity. How many times have you been to meetings that took way longer than expected just because the parties couldn’t agree on an approach? When you’re mindful, you find it easier to put yourself in someone else’s shoes and understand their ideas. You are more empathic. You don’t have to agree with them, but because you see things from their side, you can come up with solutions that match the interests of the majority. Last but not least comes the ability to manage stress better. A lot anxiety is caused by thoughts and ideas that aren’t real. “What ifs” stress us more than the world around us. When you’re mindful, there are only facts, not assumptions. Suppositions don’t have power over you or your thoughts. You are in control, and therefore, you can manage stress better. Now let’s put it into practice. How can you apply mindfulness to become more productive? What can you do? It’s hard to focus on just one thing when there’s a lot of stuff on your desk and around you. Just have the items you need in order to perform your current task. Leave all the rest away from your sight. If the song playing makes you want to sing along, it might be better to turn it off. It might be pleasant multitasking, but it’s still multitasking. For those who don’t feel comfortable with the silence, try some relaxing instrumental soundtrack instead. Fans of the Pomodoro Technique can use an app like Tide to track their time along with peaceful background sounds. It’s easier to put together a realistic plan when you’re mindful. And mindfulness benefits a lot from realistic plans. Don’t overbook yourself or schedule more tasks for a day than you could handle in a week. Allow yourself to focus on one task at a time and give it your full attention. Make it a habit, and you’ll see your productivity improve. The idea behind having a realistic plan is to prevent that you fall into the trap of multitasking. While being fully focused on the job at hand promotes efficiency, spreading your attention all over the place crashes it. There’s no way you can be attentive and avoid errors when your mind is elsewhere. If you work in an environment where multitasking is still considered a strength, make mindfulness your secret weapon to success. The benefits of meditation are countless, productivity inclusive. Various mindfulness exercises include simple meditation practices. You can already see results by developing the habit of meditating for 5 minutes every day. Taking breaks itself is excellent for productivity, so why not use them to reset your mind with meditation. Mindfulness is a powerful self-improvement tool everyone should add to their arsenal. It’s a must in your path towards discovering and setting your Intention to success. If you have any questions or would like to share your experience, please leave me a message in the comments below. How would you describe your desk?